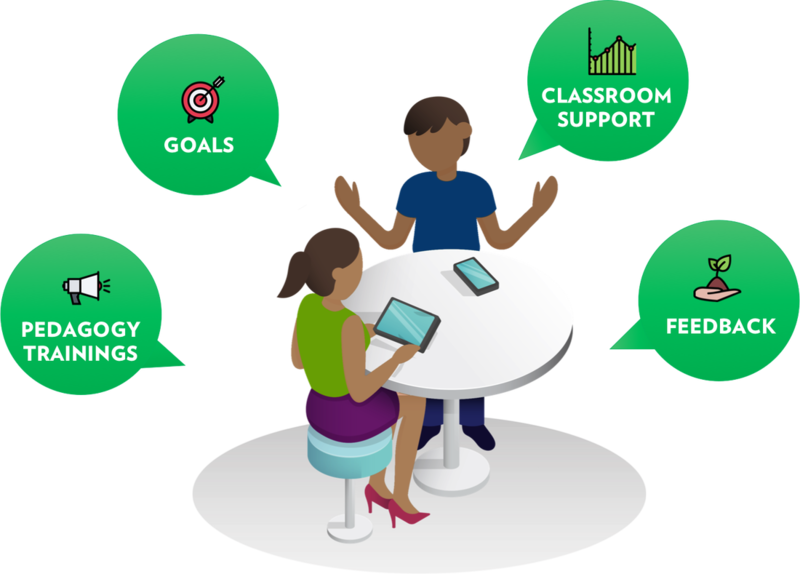 Personalized pedagogy coaching to help teachers learn, develop and implement active learning and 21st century skills in the classroom. 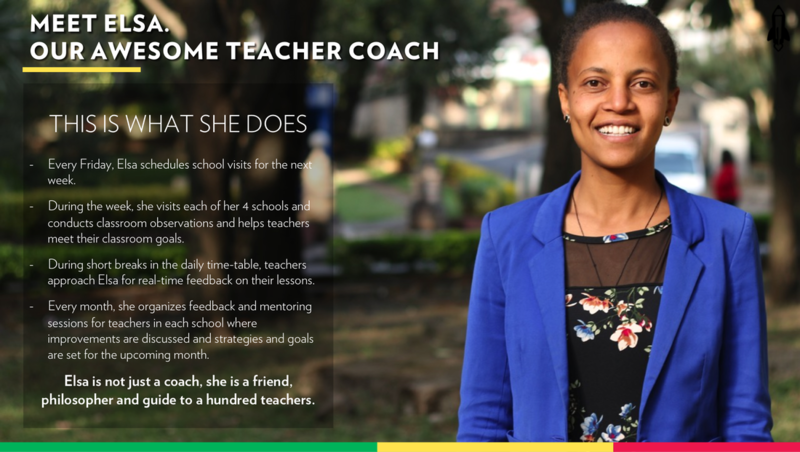 ​Blending behavioral sciences, technology and classroom data, we are building a teacher-coaching platform from the ground up for the African context – that actually works! Our unique formula allows us to bring high-quality coaching, proven instructional strategies, and a method to ensure strategies get implemented - all in a way that meets the needs of every teacher and student. Most teacher training programs do not work. Harnessing big-data analytics, Accelerated enables any school to offer personalized coaching to teachers of all levels. With best-in-class coaches and evidence-based strategies, any school can maximize teacher performance, engagement and retention. 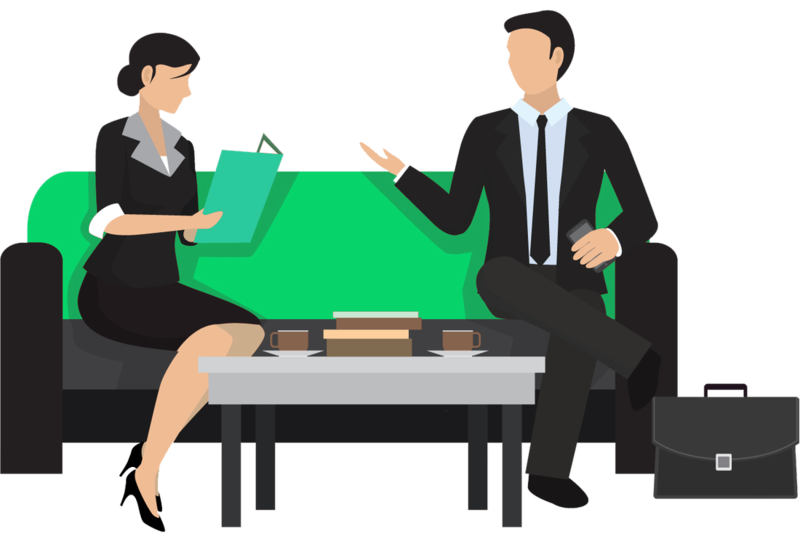 Accelerated will connect teachers with an expert coach, perfectly suited to their needs. The coach will provide trainings in key aspects of classroom teaching and student-centered learning. ​The coach ​will help each teacher create a step-by-step plan of action, typically designed to help every teacher to reach the first goal within two weeks. After teachers achieve each of their goals, they'll work with their coach to define new, more ambitious goals, helping them reach their full potential and boost student learning in the classroom. 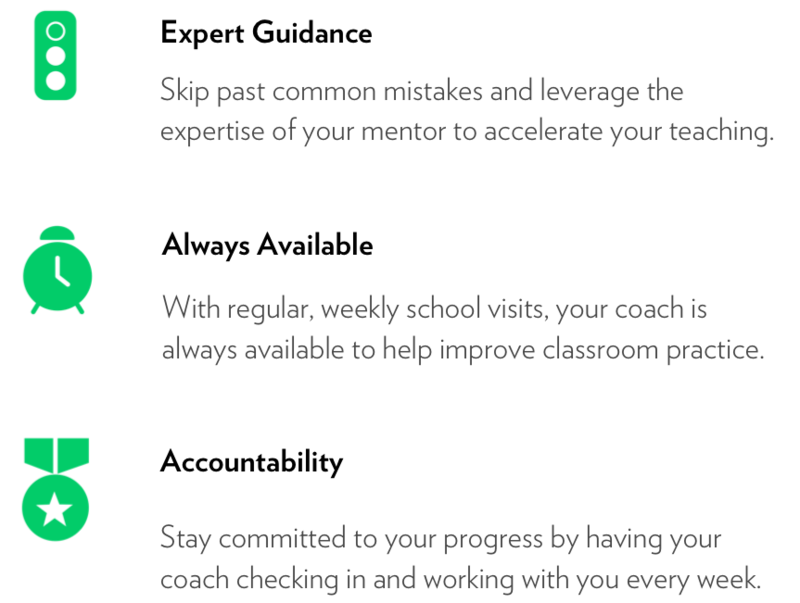 Teachers work with the coach regularly to ensure they are on track to reach their goals. The coach will observe classroom lessons, answer any questions teachers have, curate the best teaching methods as they need them, design personalized goals and assignments to help teachers practice what they're learning and guide them every step of the way.